A chef sets his sights on new horizons. 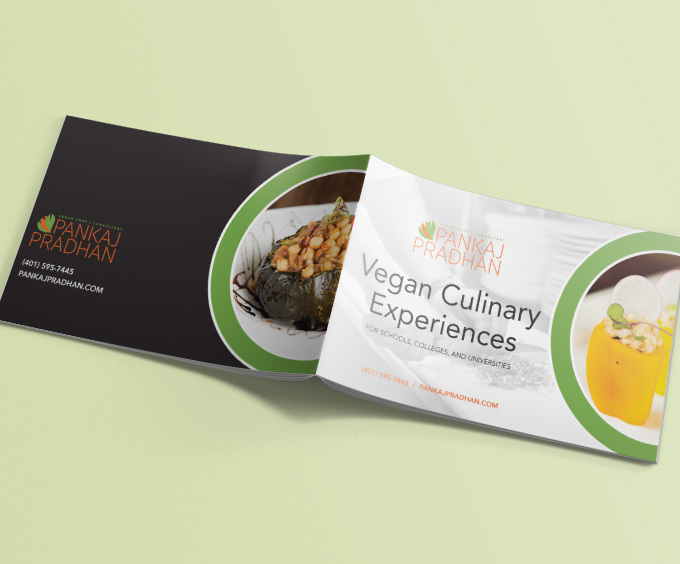 We’ve worked with Chef Pradhan on brand strategy and brand marketing for his two Boston-area restaurants: the flagship, The Red Lentil, and its sister, Wild Rice Vegan Cafe. We were excited to get involved with his plan to expand the work he does with schools and colleges, including Harvard University, to build a healthier organic world for students. 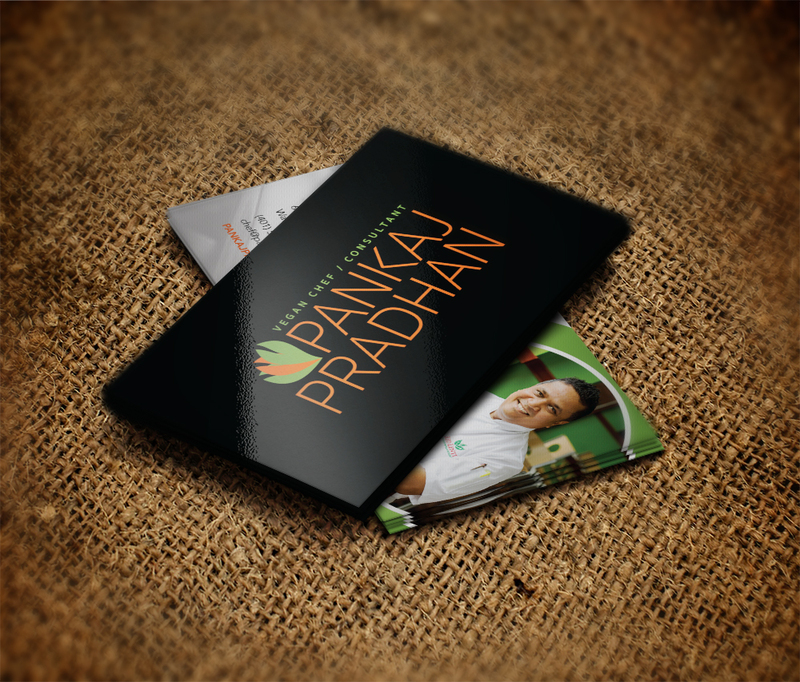 We began with brand consulting, from which we derived messaging, logo, and color scheme. We then designed a new logo for the chef’s brand, aligned with the Red Lentil’s colors and graphics yet distinctive enough to stand on its own. 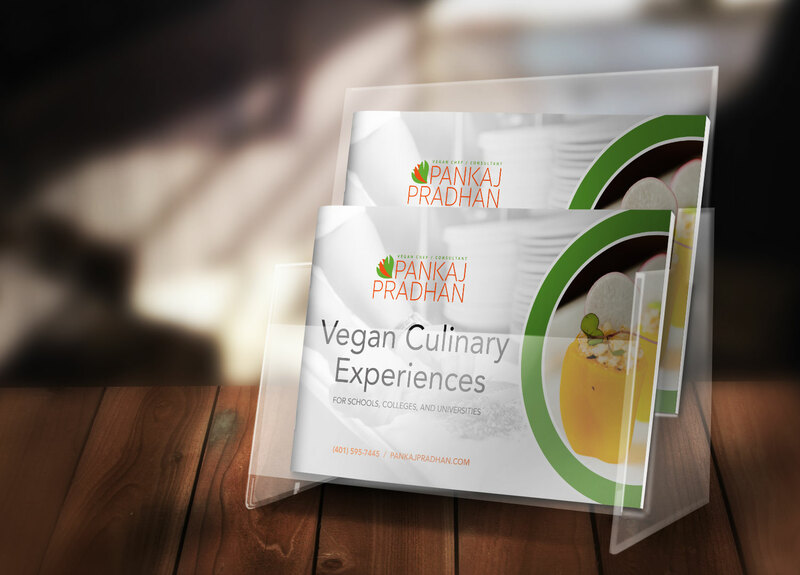 We then created a business card layout and developed his program content into an 8-page booklet describing various levels and details. 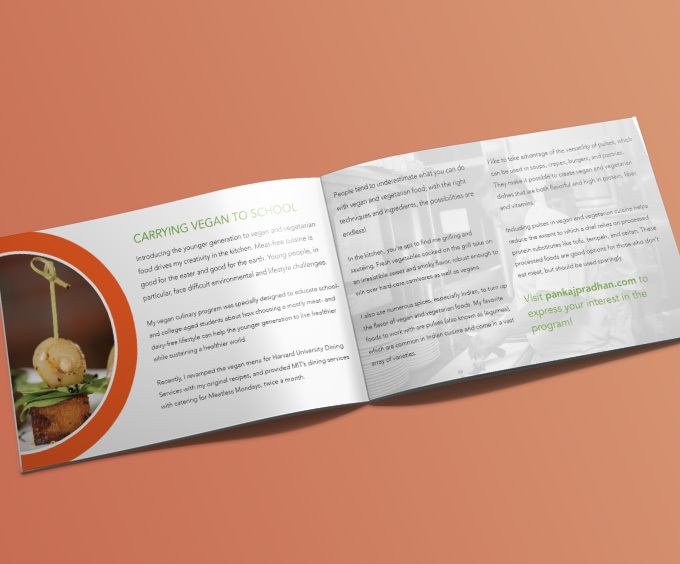 It will be handed out to those interested in hiring him as a visiting consulting chef—at events, in university and school dining service environments, and for businesses looking to introduce vegan options into their cafeterias.